We have here a fine and enjoyable rendition of this quartet by the venerable Fine Arts Quartet, recorded by the label Concert-Disc. 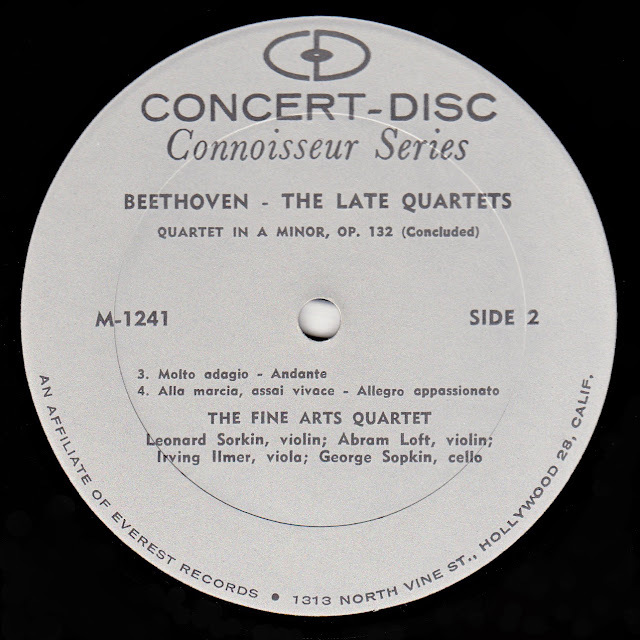 If I am not mistaken, the label was originally called Webcor Tapes, but then eventually changed its name to Concert-Disc and still later was purchased by Everest which wound up being swallowed by one of the two or three big conglomerate record companies. 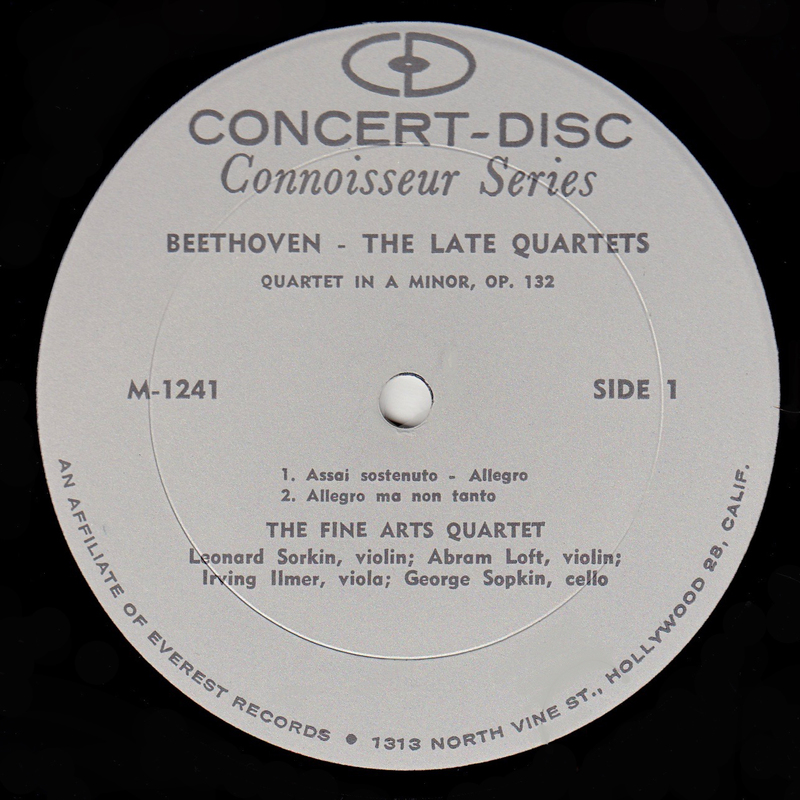 The Fine Arts Quartet (which is still in existence today -- albeit with different members, the way the Chicago Symphony Orchestra or Manchester City Football Club continue on despite personnel changes) was well known at this time (late 1940s through the late 1960s) for its especially clean and straight forward, seemingly effortless interpretations. I enjoy their entire Beethoven cycle, which was eventually released on multiple releases, three smaller box sets, and finally a big 9-LP box. 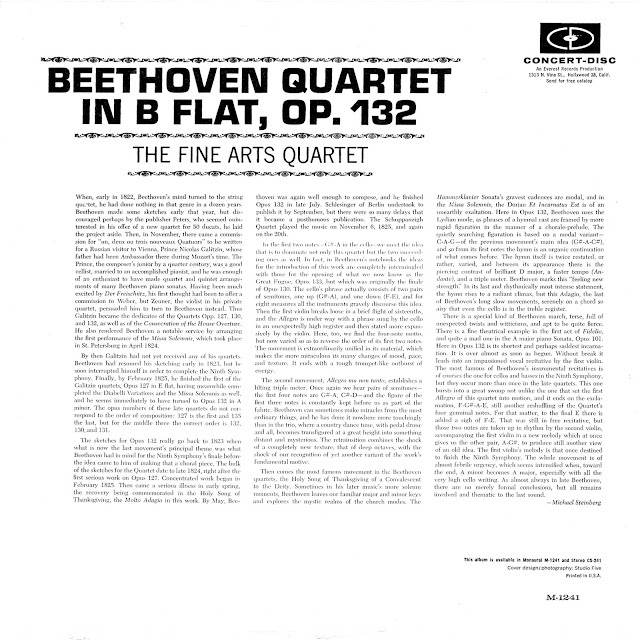 The cover suggests this quartet is in B flat yet the labels claim it is in Am. I believe the labels have it correct. 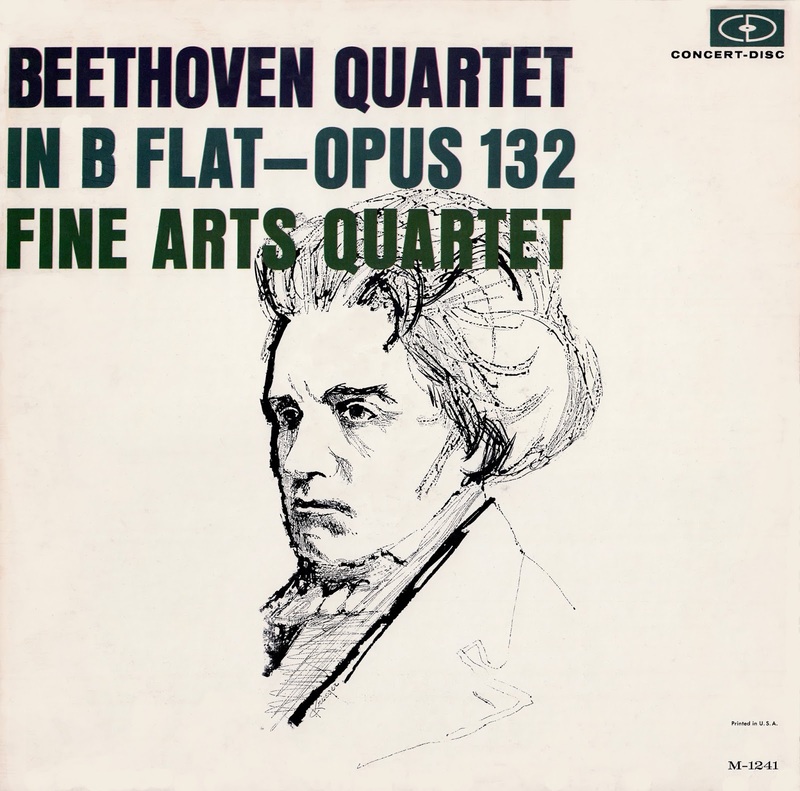 Many thanks for your blog that I just discovered.